Evilbane: Increase Hit and can attack through shield effects on enemy targets. Increase Hit by 1000, ignore shields 1 time. Divine Light: Inherits the divine light to greatly increase HP, Attack and Defense. Increase HP by 5000, Attack by 1000, and Defense by 1000. Righteousness: At start of battle gain immunity to initial attacks and increased max HP. Resist 2 Attacks, increase max HP by 10%. Ancient Guardian: Release an inner power to increase Defense of the team and gain Rage. At start of battle increase Defense of team by 10% and increase own Rage by 100. Awaken your Heroes now, unleashing their true potential! 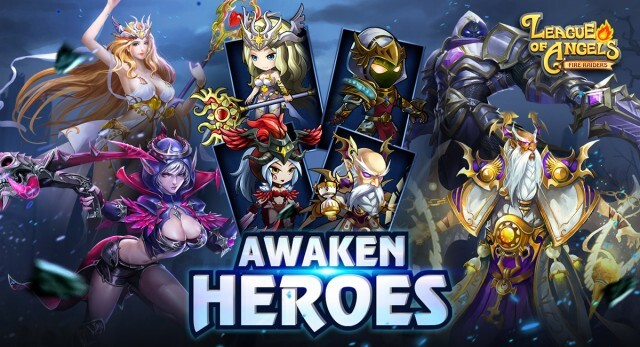 Follow official Facebook fanpage to tell us what you think about these new awakened heroes and get the latest news about the Awakening materials for your Heroes.